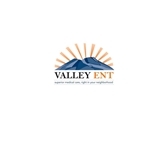 Valley ENT, PC/Valley Facial Plastics 101 & Shea (Scottsdale) - Book Appointment Online! I loved how comfortable I felt chatting with Dr. Pryor. I came to him for a second opinion for a tonsillectomy and was immediately put at ease by his obvious vast knowledge and easy going personality. He treated me like a friend, not a number, and he let me know he understood why I had questions after leaving my previous ENT appointment. I will definitely recommend Dr. Pryor and have already scheduled my tonsil surgery. I appreciate how much detail he provided when answering my questions, as well as when he set expectations for the surgery.